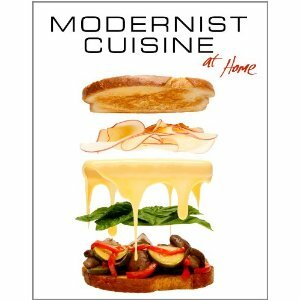 Flicking through my cookbooks looking for beery inspiration I came across something interesting in the weighty and but approachable Modernist Cuisine at Home. My eye is always drawn to any recipe that uses beer in an interesting way. The "Perfectly Melting Cheese Slices" recipe uses wheat beer in an emulsion with cheese which lends it the slightly plasticky quality of a cheese slice. It was a lightbulb moment, if this recipe can be used with any cheese and any beer, the combinations are limitless. Indeed you could use any cheese and beer pairing to make the cheese slices of your dreams. You can see the melting cheese slice levitating in this sandwich. I settled on two types of cheese slice. For St Patrick's day I went for a Guinness and strong cheddar slice and just for the hell of it a weissbier and goat cheese slice. The recipe requires Sodium Citrate as an emulsifying agent which can be purchased here. I was planning to give you a tested recipe for home made sodium citrate using lemon juice and bicarb. But believe me that the cost of the ingredients, the effort that goes into it and the quality of the final unpurified product means it is much easier and cheaper to buy a big tub. It will last you ages and can be used for all sorts of emulsifying needs (the cheese sauce recipe in the book is delicious). 1. Preheat the oven to its lowest temperature. 2. Lightly oil some baking sheets and place in the oven to warm while you prepare the cheese. 3. Combine the beer and sodium citrate in a pot, stir until dissolved, and then bring to a simmer over medium heat. 4. Gradually add shredded cheeses to the simmering liquid. Use a handheld stick blender to blend in each addition until it has melted and is completely smooth. 5. Pour the liquid cheese mixture onto a warm baking sheet. Tip the sheet as needed to form an even layer. 6. Cover with plastic wrap, and refrigerate until fully set, at least 2 hours. Then slice 'em up and put them on a burger. 380g chopped up gooey goats cheese, rind and all. Because the beer requires some heating it is probably best to be wary of strongly hopped IPAs. The bitterness can become unpleasant with extended heating. It seems that harder cheese works better for this. You can put more beer in and therefore more beer flavour. Get those oven trays quite hot so you can spread the cheese mixture quickly and thinly. Do a test spoonful of the cheese, if it sets too quickly or thickly add a little more beer to the mixture and beat it hard to get it to mix in before trying again.